The French word terroir refers to all the environmental factors that combine to make product, generally a wine, distinctive. 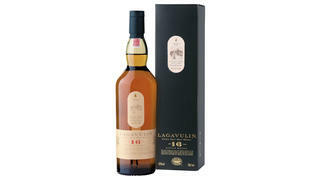 When I first heard of it, it seemed to me that the concept could equally be applied to the liquid gold that is Scottish single malt whiskies, which rely on water from specific streams (known as “burns” in Scotland) and local peats, introduced to the kiln to impart smoky aromas and complex flavours. Many years ago, while on a cross-country ski trip in Maine, the weather turned particularly brutal with temperatures sinking to 20 below. Even sitting close by a blazing fire couldn’t exorcise the chill. My host offered me a tumbler filled with a golden liquid. “This should help,” he said. 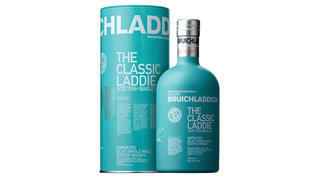 The first sip knocked me back with its peaty smoke and an iodine-like scent that reminded me of tidal pool seaweed. The second sip went down easier, and by the third, all thoughts of chill and the blowing snow outside had vanished. On my first trip to Islay, I spent a great deal of time with Jim McEwan, distillery manager at Bowmore, the oldest whisky maker on the island. He proved to be a fantastic guide as he has a passion for Islay, whisky and Scotland (not necessarily in that order). 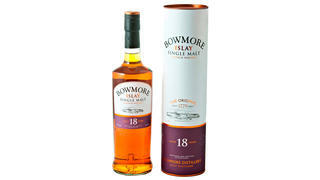 On that first sojourn, I liked the Bowmore 17 Year best, but now I prefer the 18 Year, which has an admirable balance of sea and smoke, as well as complexity and a long finish. Eventually, McEwan left Bowmore and teamed up with partners to resurrect the Bruichladdich Distillery (pronounced “brook-laddie”). This particular release has the creaminess that marks most Bruichladdich malts and shows a nice palate with warm gingerbread notes and a long finish. 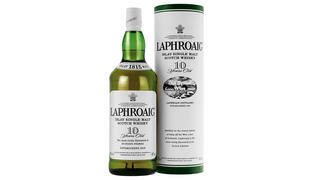 When someone tells me that they are wary of Islay malts because they have heard they are too peaty or smoky, I proffer this: You also get a deep, complex palate with dark plum, plus a hint of citrus and under notes of dark chocolate. First, the pronunciation: “OO-ga-dahl.” Ardbeg has the reputation for making some of the most heavily peated whiskies on Islay. I find this — a blend of younger and older Ardbeg single malts — to be an intriguing dram, with a powerful presence that has orange-spice notes to balance the smokiness. It’s bottled at cask strength — 108.4 proof — so you’ll want to cut it with some water.